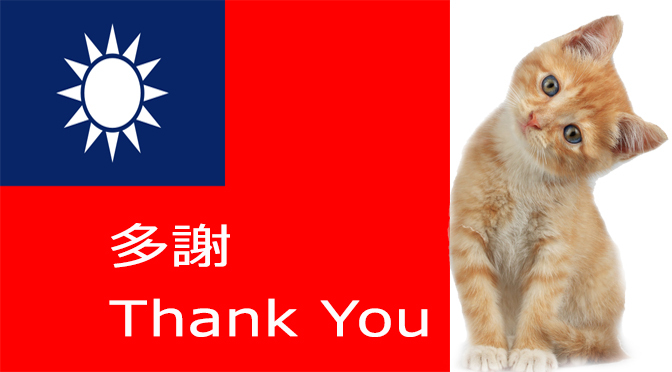 On Behalf of My Kitty, Thank You Taiwan! On Tuesday, Taiwan made history in every sense of the word, for the country to get honor as the first in Asia to officially ban cats and dogs meat consumption. The legislative Yuan finally approved the Animal Protection Act amendments to punish selling, purchasing, or consuming cats and dogs’ meat. The fines issues against the breach of the new laws are pretty much to the point; they range between $50,000 and $2 millions. Those fines are only for cats and dogs’ meat sale, purchase, and consumption. But when it comes to torture, burning or skinning those animals, or any other act that may deliberately cause them physical pain and suffering, laws rise up to the level of imprisonment against the defenders. Those proven guilty may spend two years in prison as maximum, along with fines from $200,000 to $2 millions. Repeat defenders may receive stiffer penalties of one to five years prison-term, along with fines that ranges between $500,000 and $5 millions. Taiwan legislative amendments also addressed some common practices on the part of pet owners that may put pets at danger. It becomes henceforth illegal to walk animals via motor vehicles; the act is fined up to $15,000. With that, Taiwan can consider itself on the right path to become top animal friendly nation in Asia. >> Sign a Petition:Stop Burning And Skinning Cats And Dogs Alive in China, Indonesia, And Korea! We, as pets lovers should welcome such amendments with wholeheartedly applauses and gratitude, hoping other countries where cats, dogs and other animals still suffer torture, soon join up.